Tiffany Pham is the founder and CEO of Mogul, one of the largest worldwide platforms for women, enabling them to connect, share information, and access knowledge from one another. As a coder, she developed the first version of Mogul, reaching millions of women per week across 196 countries and 30,470 cities. Tiffany was named one of Forbes’s “30 Under 30” in media, Business Insider’s “30 Most Important Women Under 30” in technology, ELLE Magazine’s “30 Women Under 30 Who Are Changing the World,” among many other honors. Tiffany is a judge on the TLC TV show Girl Starter, and cohost of the show Positive Pushback. She speaks at the United Nations, Microsoft, Hearst, Viacom, Bloomberg, The New York Times, Wharton Business School, Scripps Research Institute, SXSW, and around the world. She is a graduate of Yale and Harvard Business School. 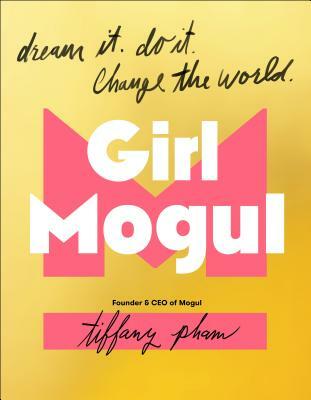 Tiffany is the author of Girl Mogul.